The bluesy "Fallin'" offers a comfortable melody and a country rock vibe. 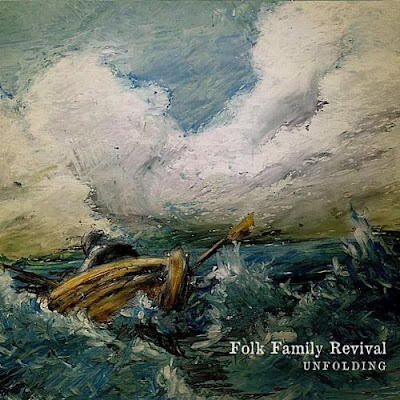 It is followed by the haunting Americana cut "Have A Nice Life," but it is "Shade From The Storm" that shores up Folk Family Revival's country music credibility. The song should also be considered by country radio program managers. The album's biggest surprise is the bluegrass-infused "Mountains," which also offers elements of gospel and rock. "Dream All Night" has a cool John Mayer meets Wade Bowen vibe. However, it is "Addicted To The Road" which emerges as the album's best song. The melody is musical perfection, but for true radio success a mix without backing vocals and a slightly increased pace might be necessary. "Addicted To The Road" is a track that has an anthemic quality that could be a Number 1 country chart hit for a major male country star, and it would play well in both concerts and country radio. "Holding You Now" is another song with radio potential.